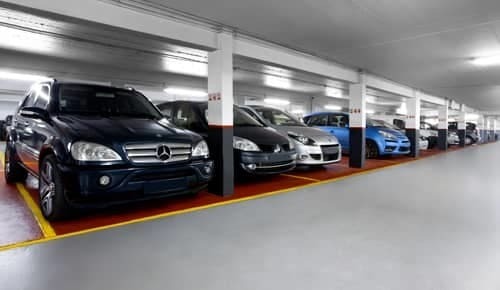 Maussins-Nollet Clinic car parkin Paris. To reach the clinic in just a few minutes, head back up Avenue Gambetta and turn left onto Rue de Romainville. The Maussins-Nollet Clinic (also known as the knee clinic) is located in Paris' 19th arrondissement, close to the Parisian ring road at Porte des Lilas. It is one of the most prestigious clinics in Paris, offering 160 beds and with a staff of 150. It enjoys a strong reputation due to its team of specialists that perform knee and shoulder surgery. The clinic is widely regarded as one of the leaders in its field in France. Drivers normally arrive at the clinic from the ring road, via the Porte des Lilas exit. The clinic can only be accessed from one road: Rue Haxo (75019). There are several no entry signs and one-way streets around the clinic, which make driving and parking difficult. 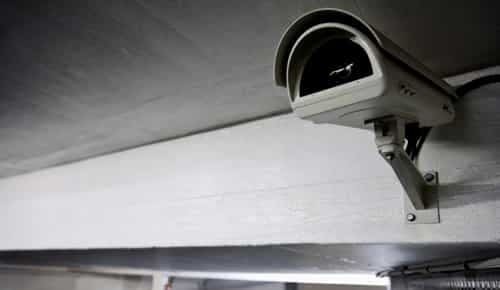 In most cases, it is therefore better to leave your car in secure car park close by, with affordable rates and 24-hour surveillance. There is only one car park that meets these criteria: the Gambetta car park. 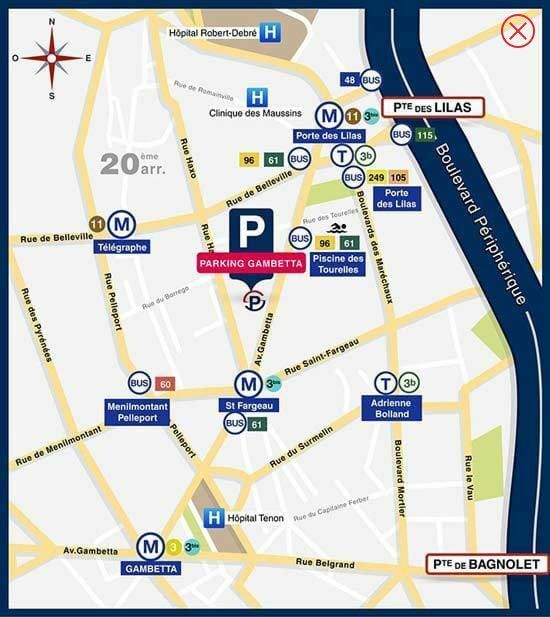 One of the cheapest and most effective ways to get to the clinic is to park your car at the Gambetta car park at Porte des Lilas in Paris, and travel the remaining few minutes to the clinic on foot. 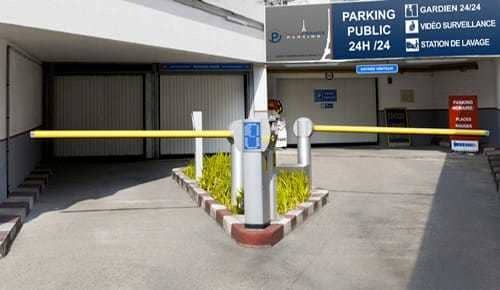 The car park is located close to Père-Lachaise and offers a range of services, 24 hours a day.